What relationship existed between American libraries and librarians and those of the Soviet Union during the early Cold War? Why did librarians ensure that they were a part of the cultural exchange agreement of 1959? What were their motivations/intentions in doing so? How do the motivations of participating librarians compare to or fit within those of general participants in the cultural exchange agreements and of the two governments? What was the result/impact of the librarian exchange on the librarians themselves and on librarianship within the United States and the Soviet Union? How did the exchange of librarians fit within the larger scope of cultural exchanges during the Cold War? One of the strengths of the study arise from the utilization of a multitude of primary sources, including contemporary reports from the delegations as well as newspaper and journal articles, videos, documents and photographs. The wide range of secondary sources that were used, which encompass monographs and articles from scholarly journals, are also a strength of the study. The greatest limitation of this project was the creator’s lack of knowledge of the Russian language. This inevitably meant the reliance on translations of Russian reports and texts in addition to the automatic exclusion of any untranslated documents. Another weakness of this endeavor was the short time-frame for completion of this assignment which meant that any relevant archival materials not yet digitized, in the archives of the American Library Association (ALA) or the National Archives, for example, could not be accessed and included in the study. And as is always the case with history, conclusions are based on the views, perceptions, and accounts of human individuals and thus, must be imperfect. 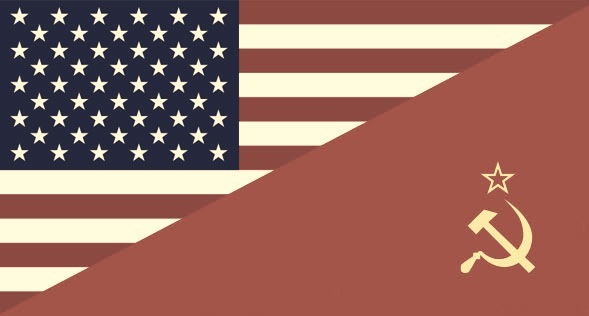 The Cold War cultural exchanges between the United States and Soviet Union have been largely neglected among studies of the politics, history, and diplomacy of that period. This is also true in the study of library history. In the progress of researching the relationships between American and Soviet librarians and libraries led to some fascinating sources. However, it was the discovery of the text Soviet Libraries and Librarians: Report of the Visit of the Delegation of U.S. Librarians to the Soviet Union, May-June, 1961, under the U.S.-Soviet Cultural Exchange Agreement that inspired this project, which is meant to answer the questions that arose while studying that document. Research for this assignment began with the general topic of Cold War librarianship and was gradually narrowed to the role of librarians in U.S.-Soviet cultural exchanges of the 1950s and 1960s. Fitting with this development from general to specific, the research process began with finding books from academic library catalogs and internet searches. As the topic grew less nebulous, a variety of scholarly databases were searched for articles from newspapers and journals, as well as less conventional sources. Digital archives were another source of relevant resources. Analysis and interpretation of all these sources helped provide answers to the formulated research questions. No presupposition was made about the outcome of this study, as the researcher intended to fit the conclusion to the facts rather than try to make the facts fit the hypothesis.This and frequent self-checks for personal bias have, it is hoped, made this project as objective as possible. It should be noted that the prevalence of American and English translations of Russian accounts might automatically tip the scales in favor of American opinion. A dual-degree student at Indiana University-Purdue University Indianapolis (IUPUI), Brittany Kropf is pursuing Master’s degrees in both Library and Information Science and Public History. This website was created as the final project for an IUPUI course, S580: History of Libraries.